Named for the geographic similarity between the American Mid-West and the Netherlands, the Flatlands Collective is a mid-sized ensemble of Chicago-based musicians operating under the leadership of Dutch saxophonist and electronics manipulator Jorrit Dijkstra. 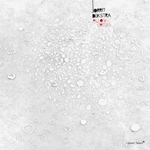 A seamless integration of nostalgic European melodies, futuristic minimalism, and spontaneous free jazz, Dijkstra's cantilevered compositions unveil layers of detailed nuance on Maatjes, the sophomore effort of this international collective. The ensemble's core line-up is virtually unchanged since their debut, Gnomade (Skycap, 2006). Clarinetist James Falzone, trombonist Jeb Bishop, cellist Fred Lonberg-Holm, and bassist Jason Roebke make return appearances, with drummer Tim Mulvenna replaced by Frank Rosaly. 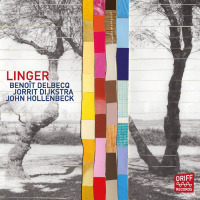 Some of the Windy City's finest improvisers, these internationally astute Chicagoans handle Dijkstra's mercurial Dutch aesthetic with empathetic aplomb, trafficking in a wild and wooly blend of harmonious free improvisation. 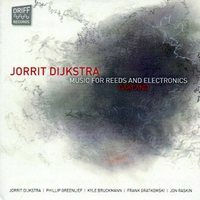 Dijkstra's multifaceted writing employs elements of free improvisation, yet generally embraces conventional tonal centers that are more melodious than dissonant. Inspired by the seminal work of Steve Reich, Terry Riley, and LaMonte Young, "Partially Overdone" and "In D Flat Minor" each explore a different aspect of the minimalist tradition. The former unfolds at a glacial pace, ushering in waves of dense, chromatic overtones. The later knits interlocking segments into a hypnotic contrapuntal theme, spotlighting the leader's intervallic altoenhanced by a buzzing sheet metal mute. Unveiling opulent harmonies, "Micro Mood" revels in the honeyed melodies of the old-world while "The Gate" and "Druil" each paint atmospheric tone poems; one portrays San Francisco at night, the other Dijkstra's homeland. Exploring more assertive territory, "Phil's Tesora" features a rousing anthem that careens with rock-like intensity over quicksilver rhythms, while the muscular dirge "Mission Rocker" vacillates in pitch and dynamics. The rambunctious improvisation "Maatjes 2" is even more intense, pitting acoustic and electric instruments against one another in a torrid bout of call and response. While all of the members of the collective make stirring contributions, it is the leader's fervid alto and analog synthesizer that make the greatest impressions. Dijkstra pairs his Lyricon synth with Lonberg-Holm's EFX pedals, conjuring undulating waves of feedback and crackling noise loops, most notably on the groovy Sun Ra dedication, "Scirocco Song." Tuneful yet adventurous, Maatjes reveals the missing link between Chicago jazz and the famously capricious Dutch jazz scene. 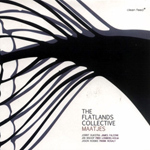 Dijkstra's Flatlands Collective is a vision of the future of jazz, today. Track Listing: Mission Rocker; Micro Mood; Partially Overdone; Maatjes 1; Druil; Phil's Tesora; The Gate; Maatjes 2; In D Flat Minor; Scirocco Song. 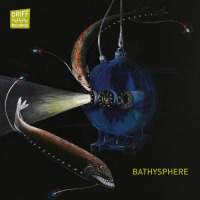 Personnel: Jorrit Dijkstra: alto saxophone, Lyricon, analog synthesizer; James Falzone: clarinet; Jeb Bishop: trombone; Fred Lonberg-Holm: cello, analog electronics; Jason Roebke: bass; Frank Rosaly: drums, percussion.